Our fees apply to any candidate referred by us for a specific or alternative position and employed by the client or associate within twelve months of last interview. The client shall also be liable to pay the appropriate fee if it refers directly or indirectly any applicant to any third party resulting in an engagement of the applicant by the third party. Our scale of fees is applied on the gross starting salary as defined in the general notes section below. Please note that on a register search, fees are payable on a success only basis and we do not charge commitment fees advertising or use of our premises for interviewing purposes unless a prior arrangement has been negotiated. RETAINED ASSIGNMENTS: Fees are as for Register Search except that they are split into three instalments: 30% of the estimated fee on acceptance of the assignment, 40% on presentation of the shortlist and the remaining 30% on successful completion. All agreed advertising costs and interview expenses will be charged to the client. UNADVERTISED EXECUTIVE SEARCH: Where it is impractical to use normal recruitment methods we are prepared to undertake a search on an exclusive basis. In such case the fee is 30% split into three instalments as defined in Retained Assignments. 1. Contract periods available 3, 6, 9 months – N.B. : 12 months revert to usual terms of business. 2. A 2% premium is chargeable on all contracts of less than 12 months. 3. A re-bill will be due on all renewal dates, up to a 12 month period. 4. Pro-rata guarantees apply on all contracts of less than 12 months. Please note you will only be charged up to a maximum of 12 months. 1. 75% of the fee – 1 to 3 weeks . 2. 50% of the fee – 4 to 6 weeks. 3. 25% of the fee – 7 to 10 weeks. Please note that these guarantees will only apply where invoices have been paid within 14 days of the candidate’s starting date. If an invoice remains unpaid after this period and the employee terminates or is dismissed during the guarantee period then the whole fee is still payable. Notification of candidate’s termination of employment must be given in writing within 7 days of notice of such termination. Guarantees do not apply for candidates who are placed on a temporary or temporary to permanent basis. 1. Where a car is offered as part of the remuneration package the value of the car is assessed at £6,000 per annum. “Gross salary” also includes any guaranteed payments relating to the first year of employment e.g. ‘front’ end payments (other than relocation assistance), guaranteed bonuses, overseas premiums and living allowances. 2. Where we are acting on a retained basis and, for whatever reason, the client has to withdraw the vacancy, stage fees payable up to that point will be non-returnable. 3. Where an offer of employment has been made by a client and is subsequently withdrawn after acceptance by the candidate through no fault of the candidate, the normal recruitment fee will be due and payable by the client. 4. Once a candidate introduced by us is in your employment, we are not liable for that person’s misconduct or for any loss, expense or damage that person may cause you to incur. When you so request, we take up references with the utmost thoroughness and care. However, we cannot give a warranty for the complete accuracy of information obtained from either the candidate introduced to you, or from another person in connection with the candidate. 5. In the event of legal proceedings in respect of overdue invoices, all legal expenses will be met by the client together with interest on the gross invoice at 2% for each month or portion of a month overdue. 6. Unless you otherwise advise, acceptance of our referrals will constitute acceptance of this agreement and will remain in effect until terminated or modified by mutual agreement. 7. No alterations shall be made to the conditions of this contract without prior written agreement by a member. 8. These terms and conditions are effective from 15th September 2014. “Assignment” means the period during which the Temporary Worker is supplied to render services to the Client; “Client” means the person, firm or corporate body together with any subsidiary or associated company as defined by the Companies Act 1985 to whom the Temporary Worker is supplied or introduced ;“The Employment Business” Ink Recruitment Limited. “Engagement” means the engagement, employment or use of the Temporary Worker directly by the Client or any third party or through any other employment business on a permanent or temporary basis, whether under a contract of service or for services; an agency, license, franchise or partnership arrangement; or any other engagement; directly or through a limited company of which the Temporary Worker is an officer or employee “Temporary Worker” means the individual who is introduced by the Employment Business to render services to the Client. “Transfer Fee” means the fee payable in accordance with clause 7.1(b) below and Regulation 10 of the Conduct of Employment Agencies and Employment Businesses Regulations 2003. “Relevant Period” means the later of either 14 weeks from the first day on which the Temporary Worker was supplied by the Employment Business to work for the Client, or 8 weeks from the day after the Temporary Worker was last supplied by the Employment Business to the Client. “Introduction Fee” means the fee payable in accordance with clause 7.2(b) below and Regulation 10 of the Conduct of Employment Agencies and Employment Businesses Regulations 2003. “Introduction” means (i) the Client’s interview of a Temporary Worker in person or by telephone, following the Client’s instruction to the Employment Business to supply a Temporary Worker; or (ii) the passing to the Client of a curriculum vitae or information which identifies the Temporary Worker; and which leads to an Engagement of that Temporary Worker. “Remuneration” includes base salary or fees, guaranteed and/or anticipated bonus and commission earnings, allowances, inducement payments, the benefit of a company car and all other payments and taxable (and, where applicable, non-taxable) emoluments payable to or receivable by the Temporary Worker for services rendered to or on behalf of the Client or any third party. Where a company car is provided, a notional amount of £6,000 will be added to the salary in order to calculate the Employment Business’ fee. Unless the context otherwise requires, references to the singular include the plural. The headings contained in these Terms are for convenience only and do not affect their interpretation. 3.1 The Client agrees to pay the hourly charges of the Employment Business. The charges are calculated according to the number of hours worked by the Temporary Worker (to the nearest quarter hour). The charges comprise mainly the Temporary Worker’s pay but also include the Employment Business’ commission calculated as a percentage of the Temporary Worker’s pay, employer’s National Insurance contributions and any travel, hotel or other expenses as may have been agreed with the Client or, if there is no such agreement, such expenses as are reasonable. VAT, if applicable, is payable on the entirety of these charges. 3.2 The charges are invoiced to the Client on a weekly basis and are payable within seven days. The Employment Business reserves the right to charge interest on any overdue amounts at the rate of 8% per annum above the base rate from time to time of the Bank of England from the due date until the date of payment. 3.4 Standard terms of business apply for candidates who are employed by the client on a temporary to permanent basis. 4.1 When making an Introduction of a Temporary Worker to the Client the Employment Business shall inform the Client of the identity of the Temporary Worker; that the Temporary Worker has the necessary or required experience, training, qualifications and any authorisation required by law or a professional body to work in the Assignment; whether the Temporary Worker will be employed by the Employment Business under a contract of service or apprenticeship or a contract for services; and that the Temporary Worker is willing to work in the Assignment. 4.2 Where such information is not given in paper form or by electronic means it shall be confirmed by such means by the end of the third business day (excluding Saturday, Sunday and any public or Bank holiday) following, save where the Temporary Worker is being introduced for an Assignment in the same position as one in which the Temporary Worker had previously been supplied within the previous five business days and such information has already been given to the Client. 5.3 The Client shall not be entitled to decline to sign a timesheet on the basis that he is dissatisfied with the work performed by the Temporary Worker. In cases of unsuitable work the Client should apply the provisions of clause 10.1 below. 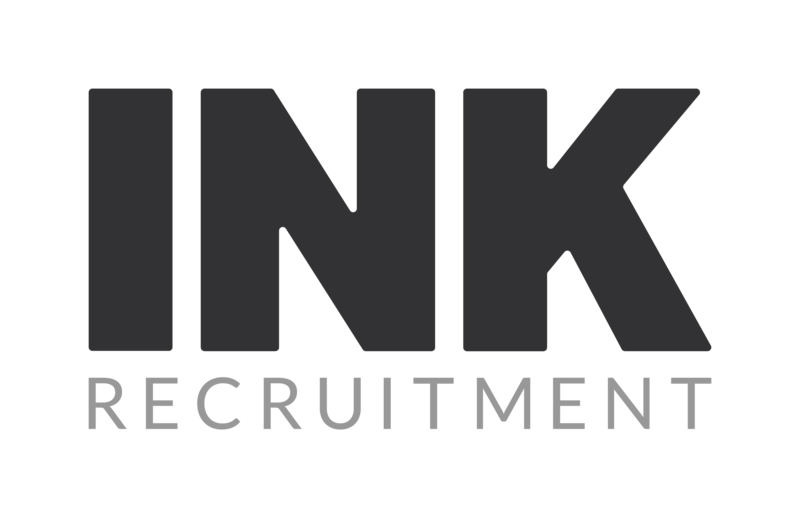 Please note: Ink Recruitment Limited may use outsourced payroll organisations to invoice / administer the candidates’ payroll. 7.1 In the event of the Engagement of a Temporary Worker supplied by the Employment Business either (1) directly by the Client or (2) by the Client pursuant to being supplied by another employment business, within the Relevant Period the Client shall be liable, to either: a) Subject to electing upon giving 7 days’ notice, an extended period of hire of the Temporary Worker being 52 weeks during which the Employment Business shall be entitled to the charges set out in clause 3.1 above for each hour the Temporary Worker is so employed or supplied; or b) A Transfer Fee calculated as follows: 20% of the Remuneration applicable during the first 12 months of the Engagement or, if the actual amount of the Remuneration is not known, the hourly charges referred to in clause 3.1 multiplied by 350. No refund of the Transfer Fee will be paid in the event that the Engagement subsequently terminates. VAT is payable in addition to any fee due. In the event that there is an Introduction of a Temporary Worker to the Client which does not result in the supply of that Temporary Worker by the Employment Business to the Client, but which leads to an Engagement of the Temporary Worker by the Client either directly or pursuant to being supplied by another employment business the Client shall be liable, to either: a) Subject to electing upon giving 7days notice, a period of hire of the Temporary Worker being 52 weeks during which the Employment Business shall be entitled to the charges set out in clause 3.1 above for each hour the Temporary Worker is so employed or supplied; or b) An Introduction Fee calculated as follows: 20% of the Remuneration applicable during the first 12 months of the Engagement or, if the actual amount of the Remuneration is not known, the hourly charges referred to in clause 3.1 multiplied by 350. No refund of the Introduction Fee will be paid in the event that the Engagement subsequently terminates. VAT is payable in addition to any fee due. 7.3 In the event that the Engagement of the Temporary Worker is for a fixed term of less than 12 months, the fee in clause 7.1(b) or 7.2(b), calculated as a percentage of the Remuneration, will apply pro-rata. If the Engagement is extended beyond the initial fixed term or if the Client re-engages the Temporary Worker within 3 months of the termination of the first Engagement the Client shall be liable to pay a further fee based on the additional Remuneration applicable for the period of Engagement following the initial fixed term up to the termination of the second Engagement or the first anniversary of its commencement, whichever is sooner. 7.4 In the event that the Temporary Worker is introduced by the Client to a third party which results in the Engagement of the Temporary Worker by the third party within the Relevant Period the Client shall be liable to pay a Transfer Fee calculated as follows: 20% of the Remuneration applicable during the first 12 months of the Engagement. No refund of the Transfer Fee will be paid in the event that the Engagement subsequently terminates. VAT is payable in addition to any fee due. Temporary Workers supplied by the Employment Business are engaged under contracts for services. They are not the employees of the Employment Business but are deemed to be under the supervision, direction and control of the Client from the time they report to take up duties and for the duration of the Assignment. The Client agrees to be responsible for all acts, errors or omissions of the Temporary Worker, whether wilful, negligent or otherwise as though the Temporary Worker was on the payroll of the Client. The Client will also comply in all respects with all statutes including, for the avoidance of doubt, the Working Time Regulations, Health and Safety At Work Act etc, by-laws, codes of practice and legal requirements to which the Client is ordinarily subject in respect of the Client’s own staff (excluding the matters specifically mentioned in Clause 6 above), including in particular the provision of adequate Employer’s and Public Liability Insurance cover for the Temporary Worker during all Assignments. 8.5 The Client shall indemnify and keep indemnified the Employment Business against any costs, claims or liabilities incurred by the Employment Business arising out of any Assignment or arising out of any non-compliance with clauses 8.2 and 8.3 and/or as a result of any breach of these Terms by the Client. 9.1 Where the Temporary Worker is required by law, or any professional body to have any qualifications or authorisations to work on the Assignment or the Assignment involves caring for or attending one or more persons under the age of eighteen or any person who by reason of age, infirmity or who is otherwise in need of care or attention, the Employment Business will take all reasonably practicable steps to obtain and offer to provide copies of any relevant qualifications or authorisations of the Temporary Worker, two references from persons not related to the Temporary Worker who have agreed that the references they provide may be disclosed to the Client and has taken all reasonably practicable steps to confirm that the Temporary Worker is suitable for the Assignment. If the Employment Business is unable to do any of the above it shall inform the Client of the steps it has taken to obtain this information in any event. 10.3 The Client shall notify the Employment Business immediately and without delay and in any event within 24 hours if the Temporary Worker fails to attend work or notifies the Client that the Temporary Worker is unable to attend work for any reason. 10.4 The Employment Business shall notify the Client immediately if it receives or otherwise obtains information which gives it reasonable grounds to believe that a Temporary Worker supplied to the Client is unsuitable for the Assignment and shall terminate the Assignment under the provisions of clause 10.2.